I started off with just having her find and circle a few different numbers. Since I only see each group twice a week and the cutie I was working with is frequently absent, I wanted to get a current baseline on her number ID skills. Then I started drawing lines or circles for her to count. 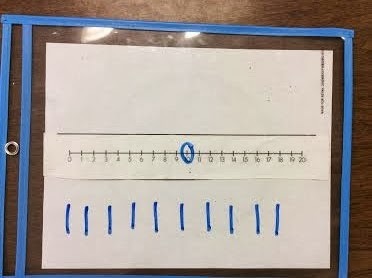 She had to practice using one to one correspondence and then circle the correct number on the number line. 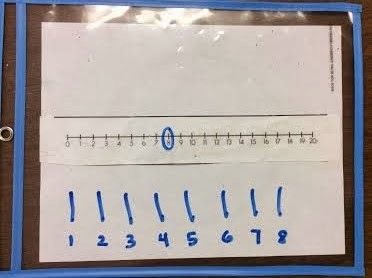 You could also have students write each number as they count for extra practice and reinforcement. 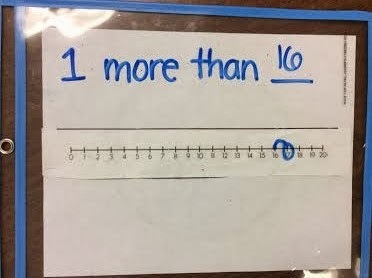 Once kids have the basics down, you could take it up a notch by asking them to find 1 more/less than a number. 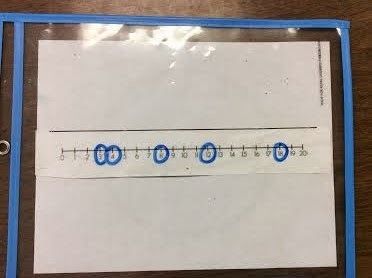 A number line is a great visual for this. 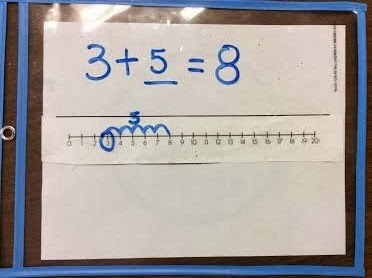 While I was working with this Kindergarten student, I also had the idea to use this with my first graders who were struggling with missing addends. I thought the visual would help as they learn to count up and solve those trickier problems.